These labels are in the locations shown. They warn you of potential hazards that can cause serious injury or death. Read these labels carefully. 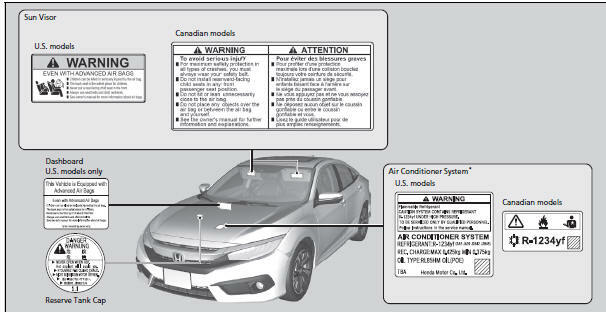 If a label comes off or becomes hard to read (except for the U.S. dashboard label which may be removed by the owner), contact a dealer for a replacement.